The Artful Critic: Pretty Little Sociopaths: Cooke and Taylor-Joy are frighteningly impressive in wry, black-hearted "Thoroughbreds"
Pretty Little Sociopaths: Cooke and Taylor-Joy are frighteningly impressive in wry, black-hearted "Thoroughbreds"
The bite of “Heathers,” the noirish friends-hatch-a-murder-scheme story of “Heavenly Creatures,” and the darkly deadpan tone of any Yorgos Lanthimos film commingle to breed “Thoroughbreds,” an extremely confident writing-directing debut from 28-year-old playwright Cory Finley. 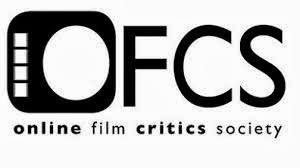 While it’s evident that the material was originally written as a play—and a razor-sharp one at that—Finley brings plenty of strikingly austere cinematic technique within the interiors of a sprawling McMansion to offset the staginess and gets a couple of killer lead performances out of Olivia Cooke (2015’s “Me and Earl and the Dying Girl”) and Anya Taylor-Joy (2017’s “Split”) that will make all up-and-coming actors green with envy. “Thoroughbreds” is wryly unsettling and restrained in its wicked worldview of human nature drained of empathy but not entitlement and sociopathy. It might be as cold and black-hearted as its characters, but that is surely the point. Amanda (Olivia Cooke) is wired like a human being, but she is incapable of feeling anything — not anger, not love, not sadness, even after putting her sick horse out of its misery. She feels very little emotion when reuniting in an upper-crust Connecticut manse for a SATS tutoring session with Lily (Anya Taylor-Joy), who used to be best friends with Amanda in sixth grade. Finishing boarding school early, Lily is ahead of the game and has accepted payment by Amanda’s mother, to boot, but she’s not quite comfortable with her old friend’s emotionless demeanor. On the flip side, Lily feels pressured and keeps in check the resentment she feels toward her obscenely rich, aggressively can-do jerk of a stepfather, Mark (Paul Sparks), who belittles Lily’s widowed mother (Kaili Vernoff), installing a tanning booth because he says she could use some color, and spends his life exercising and juice-cleansing. As Amanda begins hanging out with Lily like old times, she sees how Mark treats Lily and asks her if she’s ever considered killing him; Lily scoffs at the idea. When Lily discovers that Mark has already paid full tuition to a school for troubled girls, killing her stepfather is no longer just a wishful possibility in her mind. To carry out their plan, Lily and Amanda have to hire help in confident drug dealer Tim (Anton Yelchin), who has big dreams but still lives at home and moonlights as a dishwasher at a nursing home. The girls decide to blackmail Tim, paying him off do their dirty work with a gun while they keep airtight alibis, but to paraphrase Robert Burns, the best-laid plans of mice and men often go awry. “Thoroughbreds” simmers with measured, ice-cold yet exacting and hypnotic precision when concentrating on Amanda and Lily’s one-on-one power play and malice. Writer-director Cory Finley’s dialogue is deliciously cutting without being too clever for its own good, and his performers make every word in the script roll off the tongue as if it’s second nature for these privileged characters. Eerie unease and mounting tension are underscored throughout by composer Erik Friedlander’s discordant, atonal score, infusing cello and drums. There’s even shrewd use of the reverberating sounds of Mark using his rowing machine upstairs. The fact that Finley always chooses suggestion over showing anything explicit is the true sign of a patient, assured auteur behind the camera. With cinematographer Lyle Vincent (2014’s “A Girl Walks Home Alone at Night”), he’s never afraid of stillness and radio silence, elegant tracking shots through Lily’s opulent home, or holding a shot, particularly in an unblinking long take with a slow zoom during the crucial climax that keeps the bloody deed offscreen and relies all on sound and the exit and re-entrance of a character. Olivia Cooke and Anya Taylor-Joy are frighteningly impressive and ideal foils for one another. Cooke is sensational as the affectless but direct Amanda, who has always had to try a little harder than others to feel something, as seen through her practiced smile in a mirror and her demonstration of “the technique” to cry crocodile tears on cue. In playing a detached, sociopathic character who can’t easily produce a smile or tears without effort, Cooke is funny, sad, and chilling all at once. “The only thing worse than being incompetent or being unkind or being evil is being indecisive,” Amanda coolly says to validate her plan with Lily; her logic might be cockeyed, but one can't really disagree. The compellingly expressive Taylor-Joy is her equal match as Lily, subtly communicating a nervous breakdown and then fierce determination and cunning behind posh composure. In his final film role before his untimely death in 2016, the late Anton Yelchin lends some much-needed humanity and class difference as Tim, who may be pathetic, delusional and desperate but still hangs on to a moral compass, and it’s a heartbreaking reminder of what a talent he was and how much he will be missed. 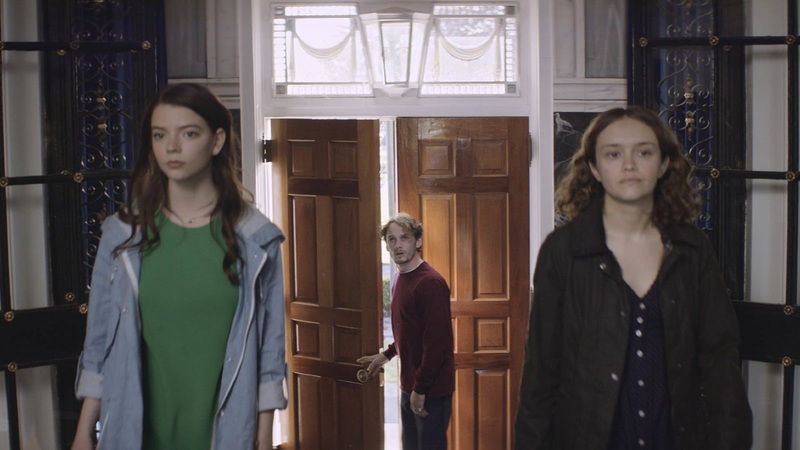 “Thoroughbreds” is juicy, twisted, and spectacularly acted, but regrettably, it doesn’t end on the controlled, perfectly cathartic punctuation of horror, tragedy and poignancy that holds one in bated breath. Instead, Cory Finley keeps going with an epilogue that seems to be there for conventionally satisfying closure to spell out where characters are now. Despite that minor misstep, Finley still announces himself right out of the gate as an exciting talent to watch, and maybe he can bring Cooke and Taylor-Joy with him. As Heather Chandler would say, it would be so very.